This is the fifth installment in a series of five posts based on data from the 2016 LSSSE survey administration and the 2016 Annual Report. The LSSSE 2016 Annual Report highlights inequities in scholarship policies and the consequences for student loan debt. In this post, we examine how scholarship recipients and non-recipients rate their stress levels and overall satisfaction with law school. 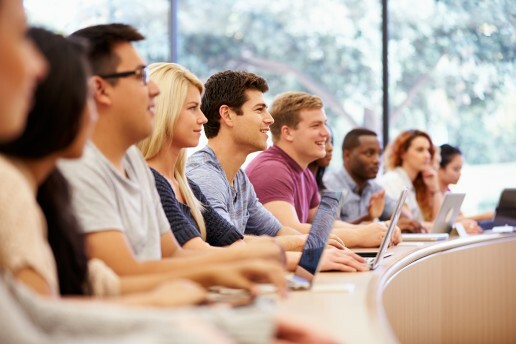 Law students tend to have favorable perceptions of their law school experiences. 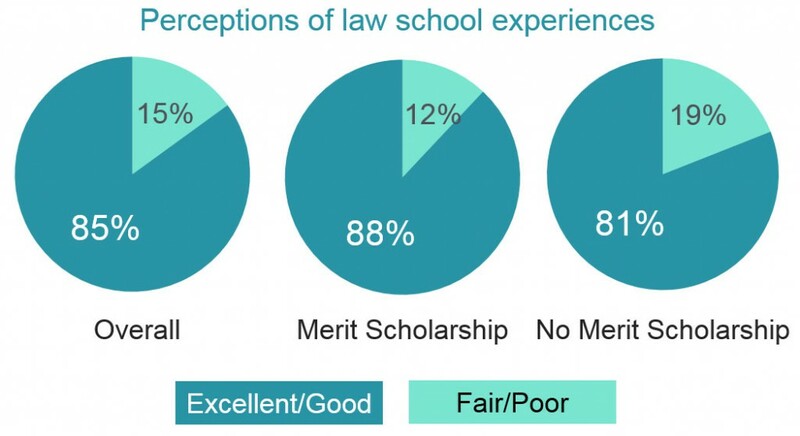 Eighty-five percent of LSSSE respondents rated their law school experiences “good” or “excellent.” Receipt of a scholarship was associated with even higher satisfaction. Eighty-eight percent of respondents who received merit scholarships rated their experiences favorably, compared to 81% of respondents who did not receive merit scholarships. Similar trends persisted across racial and socioeconomic classifications, with the most intense effects being among black and Latino respondents. 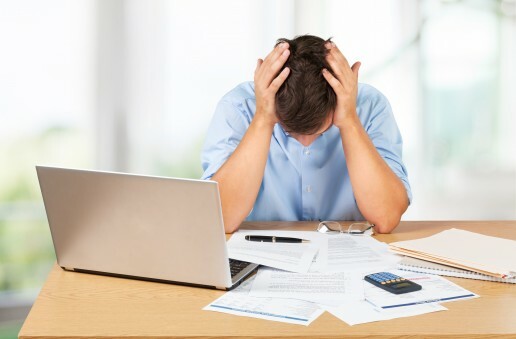 A subset of 2,256 respondents were surveyed about the extent and nature of law school-related stress they experienced. Among this group, the receipt of a merit scholarship was associated with stress levels. 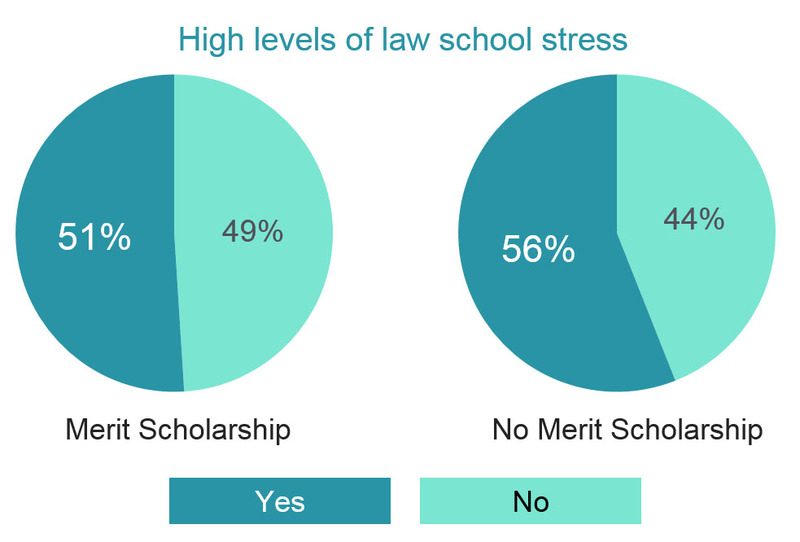 Fifty-one percent of respondents who received merit scholarships reported high levels of law school stress, compared to 56% of respondents with no merit scholarships. This is the fourth installment in a series of five posts based on data from the 2016 LSSSE survey administration and the 2016 Annual Report. The LSSSE 2016 Annual Report highlights inequities in scholarship policies and the associated consequences for student loan debt. In this post, we look at the expected student loan debts among merit- and need-based scholarship recipients. The distribution of law school scholarships has vast implications for student debt trends. The more a student receives in scholarship aid, the less likely it is that they will have to rely on loans to fund their studies. Among 2016 LSSSE respondents, students expecting higher law school debts were less likely to have received merit scholarships. Respondents expecting more than $200,000 in debt were only about half as likely to have received a merit scholarship as those expecting $80,000 or less. 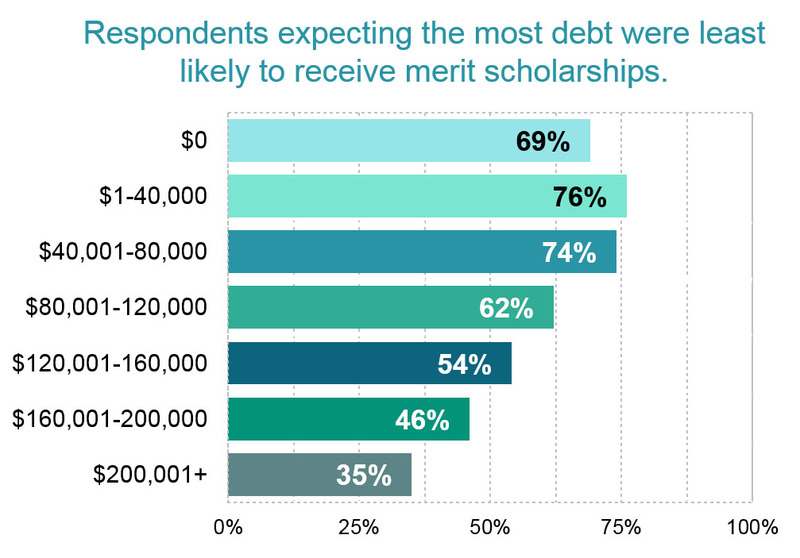 At each interval above $40,000 in expected debt, chances of having received a merit scholarship declined. 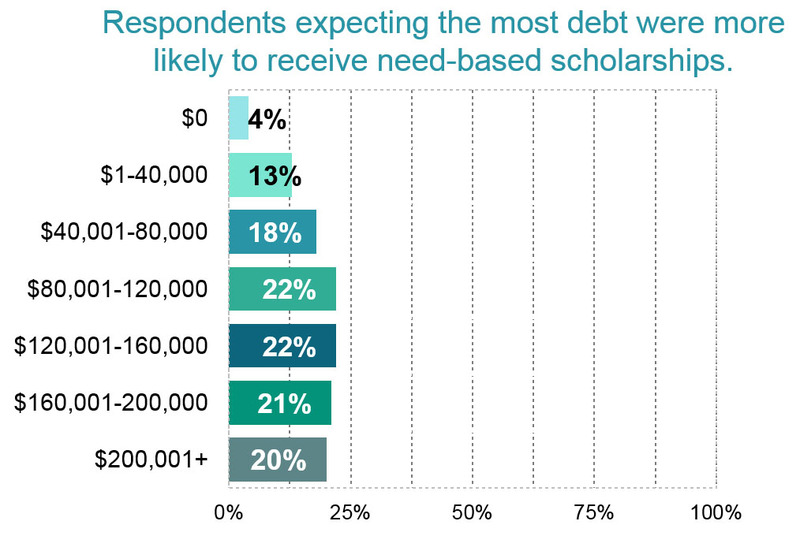 Conversely, respondents expecting higher law school debts were more likely to have received need-based scholarships. However, the relative rarity of those awards limits their impact. In our next and final post in this series, we will show how receipt of a scholarship relates to self-reported stress levels and overall satisfaction with law school.